Since 2007 St. Martin’s has included elementary and middle schools in its education and outreach mission. 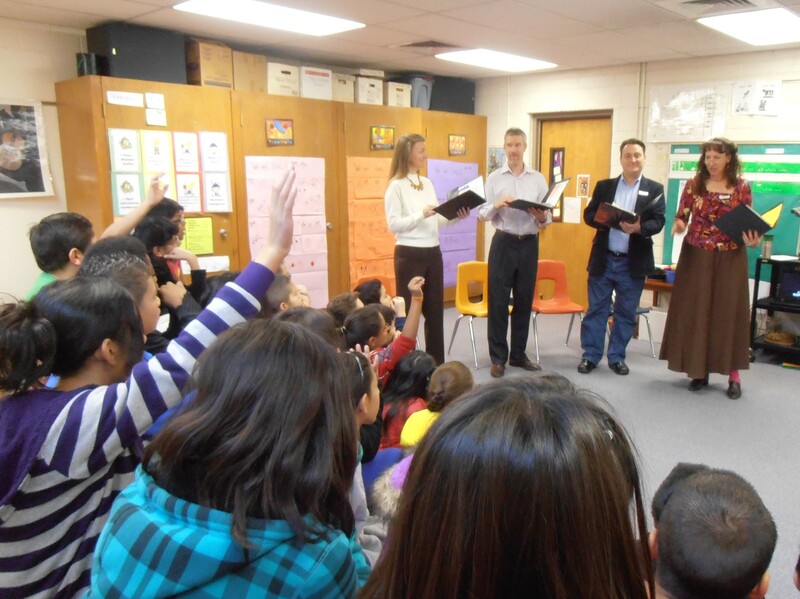 Quartets of singers have presented workshops at elementary schools in Denver and Adams County. Scholarships are often available to offset workshop costs. Elementary and middle school educators, we’d love to hear from you! 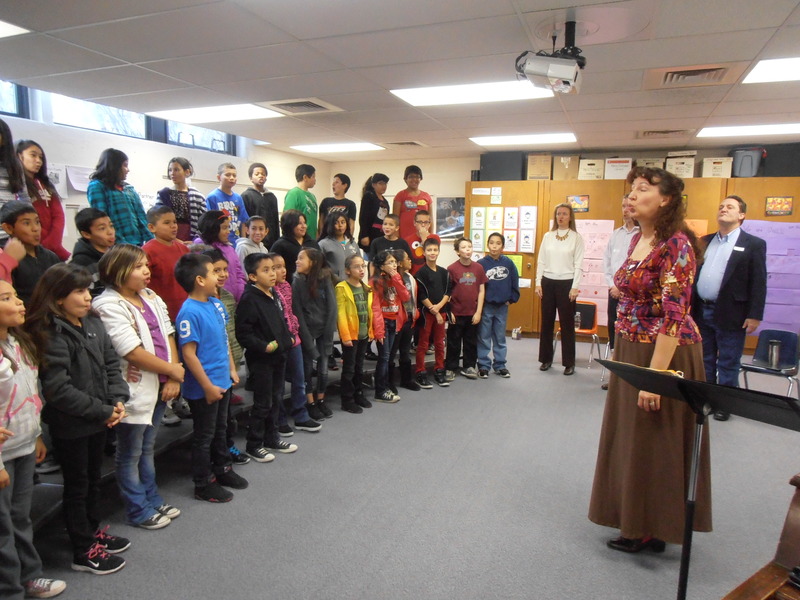 Workshops usually involve students in third through eighth grade and focus on ensemble singing techniques. Although the quartet typically begins with a performance of two short pieces, they quickly move into activities which lead the students through vocal warm-ups to target specific singing skills and which identify and correct habits and behaviors that detract from good choral singing. The culmination of the workshop is a student performance of a piece of their own, followed by suggestions from the quartet for improvement. The students immediately put these singing skills into practice. Elementary or middle school workshops are available for scheduling without using the SCC catalog. If you interested please contact St. Martin’s Chamber Choir: Call 303-298-1970 or e-mail us.